Do you live in the Thornhill area? Are you looking to buy a car from a dealership that is well respected and has a massive inventory? Well if so, Pfaff Audi Vaughan is the place for you. Our dealership has a massive selection of new and pre-owned vehicles that range from SUVs and sedans, to convertibles and coupes. 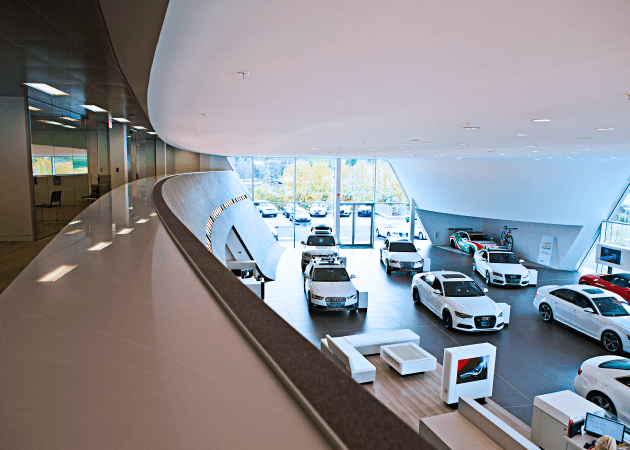 Our Audi representatives are very experienced and knowledgeable about the vehicles that we sell, so our customers can have confidence knowing that they are in the best hands when they are looking at Audi vehicles. If you are wanting to buy a car in the Thornhill area, we recommend that you keep reading this article for more information about some of the vehicles that you can find at our dealership. Vehicles like this 2018 Audi A6 3.0T are available at our Pfaff Audi Vaughan dealership. Our customers can find our vehicle inventory on our website, or they can schedule an appointment with one of our Audi representatives for a tour of the showroom and the lot or for a test drive. This Audi vehicle, and vehicles just like it, can be found at our dealership, and you can easily get behind the wheel of them by scheduling a test drive at your earliest convenience. For customers who are looking to buy a car in the Thornhill area that is pre-owned, Pfaff Audi Vaughan has a large selection of quality used cars. Come into our dealership today and take this 2014 Audi A5 2.0 for a test drive with one of our Audi representatives. Our staff is very knowledgeable about the Audi vehicles that we sell, so our customers should feel free to ask them any questions they have. With all of our new and pre-owned Audi vehicle inventory, our vehicles are subject to sell at any time. If a car you are interested in sells before you get a chance to come in for a test drive, NO WORRIES! We will do our best to find you another similar vehicle that suits your needs, wants, and desires. For more information about how to buy a car in Thornhill from Pfaff Audi Vaughan, please feel free to continue browsing through our website. Click here to find our contact numbers and to fill out our contact form.